Pinnacle Cart happens to be one of the popular shopping cart solutions in the market. The company offers a 14 day free trial period for merchants to set up their store which is pretty easy to do. 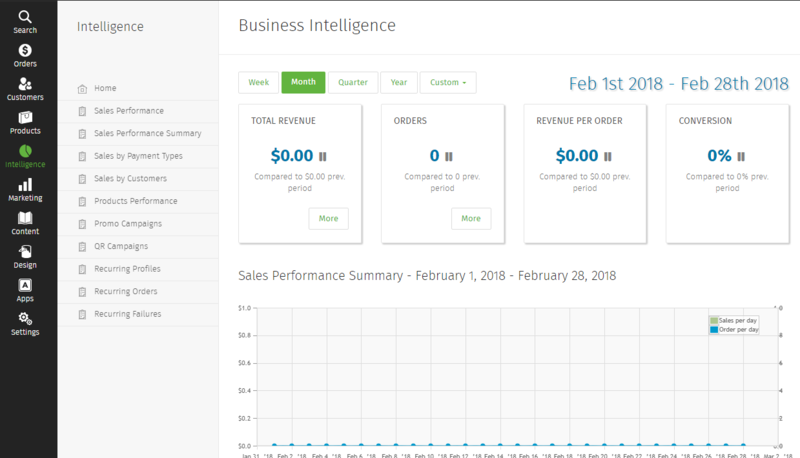 The cart comes with plenty of features but the overall design of the ecommerce software makes it easy for new or seasoned merchants to get around. O, Yeah! Services and features clearly stated on website. 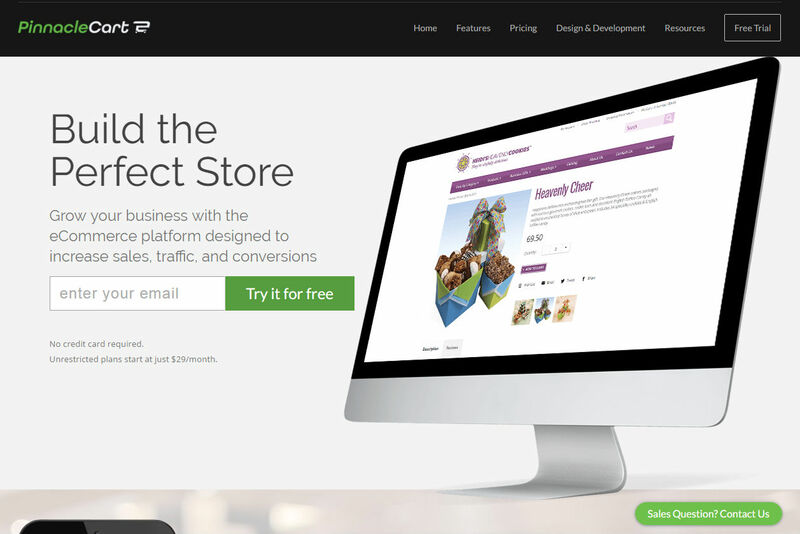 Easy to use and not complicated to set up an online store. Comes integrated with popular business applications and easily links to major companies like Amazon, eBay, Yahoo Stores, GoShopping and NexTag. Accredited an A+ rating for business by BBB. Has a QR Code Generator and Control Panel is easy to navigate. Design services are offered for the convenience of merchants who want something custom designed for their business. O, No! Sellers who want to charge customers recurring billing will have to pay $9.95/month unless they’re on the $94.95/month plan. 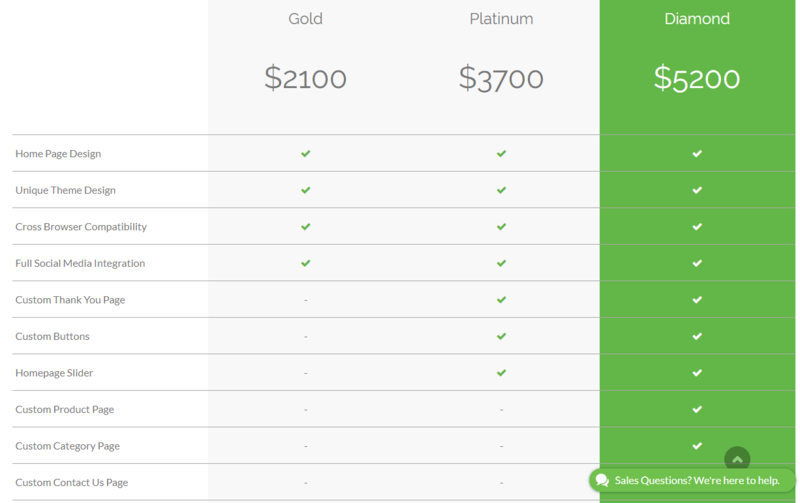 To enable Product Filtering will cost $14.95/month unless you’re on the $199.95/month plan! Good : Every package allows unlimited products to be uploaded on to the store. Pinnacle Cart is integrated with Quickbooks but this is not available for those taking the Start Up plan which is $44.95/month. 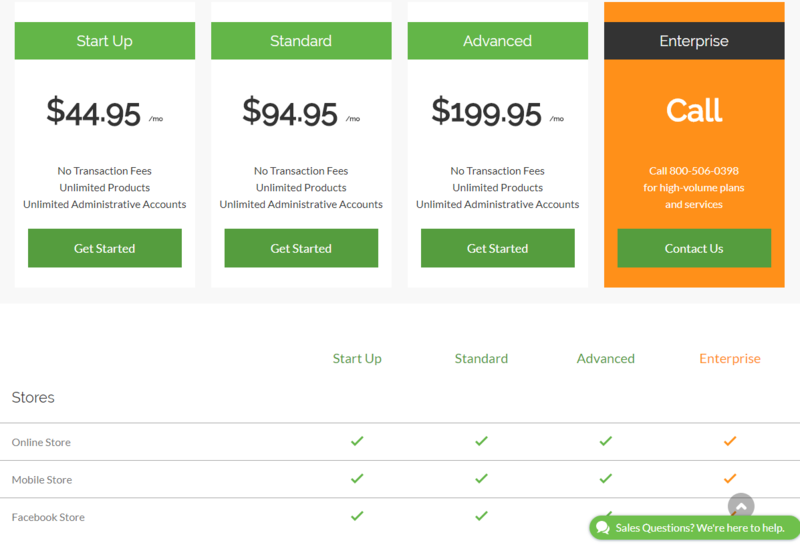 Sellers who want to use Quickbooks will need to be on their Standard Plan which is $94.95/month. They have since removed the $49 Set Up Fee across the board which makes sense since merchants will be the ones setting up their own store. Watch Out : If your business requires Recurring Billing ($9.95/month) or Product Filtering ($14.95/month), you’ll need to Add On per month depending on the plan you’re on. Source code is also not available for those on Limited and Basic Plan. Those who want to do more with their Pinnacle Cart hosting like uploading flash content and files may need to check on disk space usage to pick the appropriate plan. 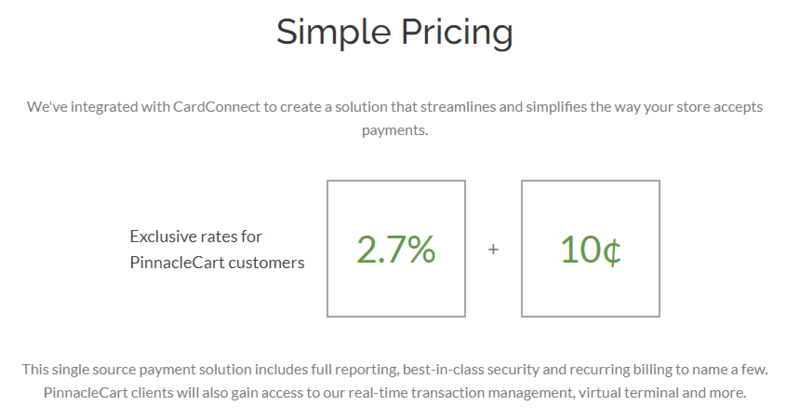 Pinnacle Cart has since changed their preferred payment gateway from First Data to CardConnect. 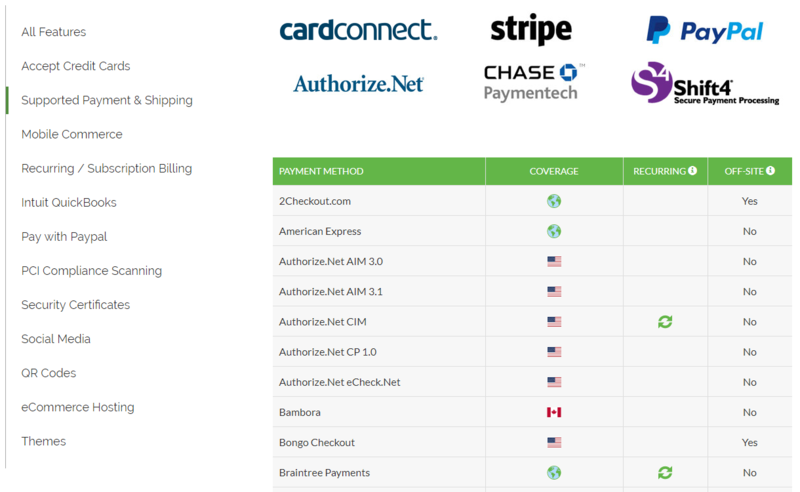 Alternatively, merchants who prefer to use other payment processor could go for Stripe, PayPal, Chase PaymentTech, Authorize.net and others that are integrated with the solution and pick the ones that fit their needs. The company offers Design and Development Services to complement their ecommerce solution. Merchants could even request for their own custom designed store by contacting the company. 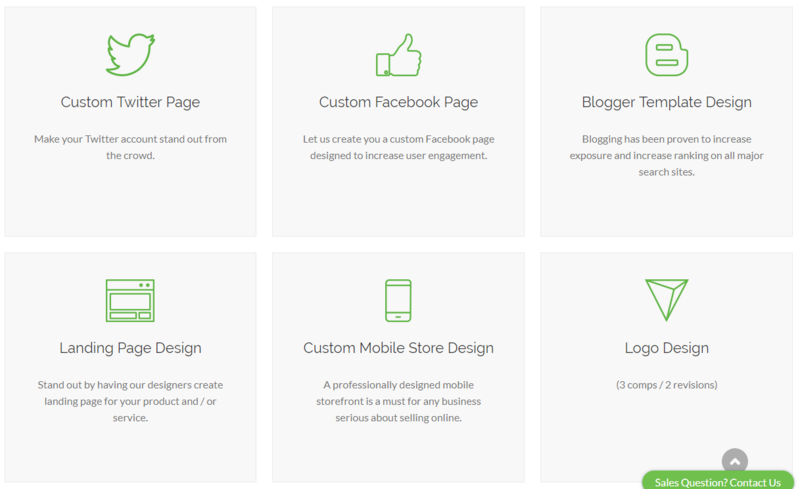 They even offer personalized ecommerce design add-ons which includes logo creation, custom Facebook and Twitter design pages, custom mobile store design, etc. This is a good initiative as merchants can straight away request for the service and have the design work done and added to their website. 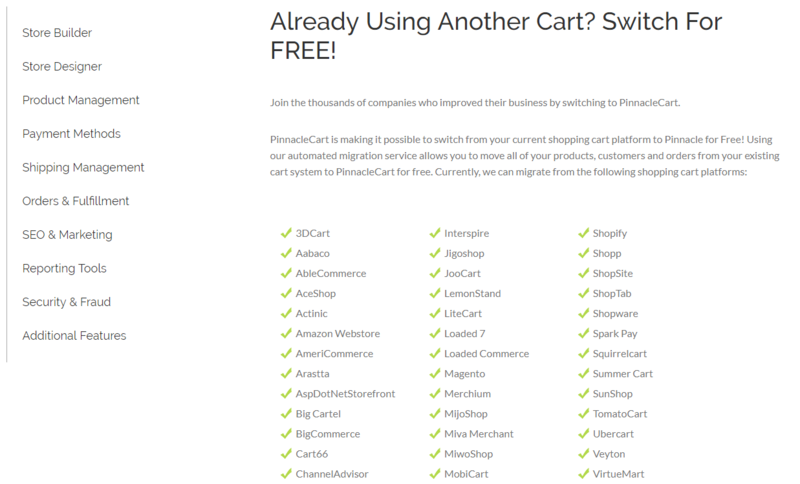 For merchants who are planning to switch carts to Pinnacle Cart, there is a FREE migration service which they could check out. Previously their trial store comes pre-populated with sample categories and products to help merchants get an idea of what their store could look like. They’ve since removed all the pre-populated products so that merchants can straight away start adding products to their store. The interface is clean and easy to use. I personally like the Report section as it’s been listed and presented nicely to help merchants check on the condition of their store based on date duration. The marketing section has also been simplified. Feels natural to just slide ON those functions that you require like how one would do it on a tablet or mobile phone. The previous way was using drop down boxes to make your selection. Pinnacle Cart has populated the tracking codes automatically to the store. 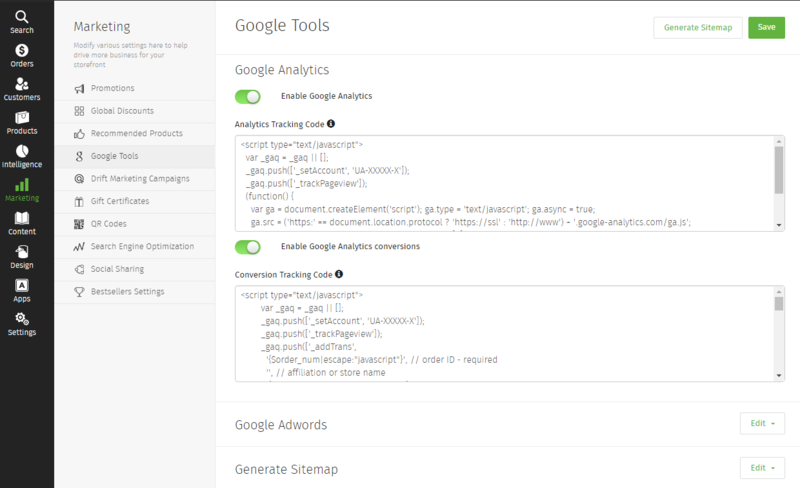 Sellers just need to substitute their Google Account ID or paste their own code and that’s it! The QR code generator will come in handy as one can generate your store’s link or pages to share it out in different formats (PNG, GIF, JPEG) and sizes. The Social Sharing section is where you add your Facebook, Twitter and Pinterest links with the option to select whether you wish to enable certain functions or not. To edit the usual navigational pages like Contact Us, About Us, Terms & Conditions, etc, just go to the Content section. Editing the pages are easy. 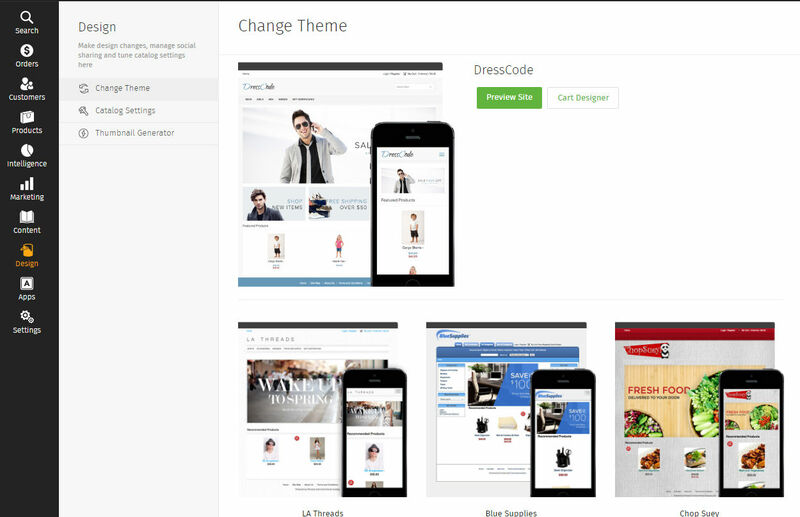 There’s only a selection of free themes for merchants to pick. Choosing a theme is not difficult. However, if one wishes to edit a theme, just click on Cart Designer. The system is based on a right-mouse click function to either edit Visual Properties or Source Code. So in essence, if you know CSS, you can basically select a template that you like and change the look, color and feel of it on your own. 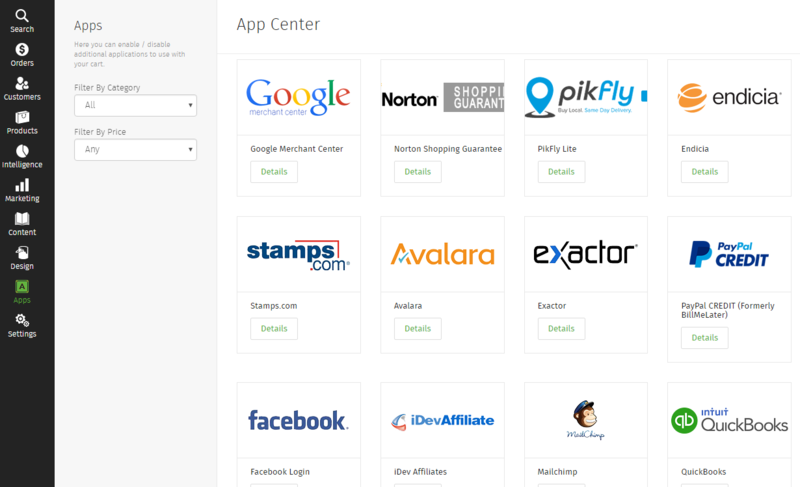 Pinnacle has around 26 apps which merchants can enable on their store. Most are free but will require an account like NexTag, Amazon, eBay, etc. Some are paid apps but it will depend on whether you need them for your online business or not. Use the filter to see which are the Free and Paid ones so that you can decide which you need. Good stuff : The solution comes integrated with Shopzilla and WholeSaleCentral. It’s also linked with Amazon, eBay, Yahoo Store, GoShopping, PriceGrabber and NexTag so that you can push your products there easily. Merchants who are planning to work with 3rd party developers will be pleased to know that Pinnacle Cart offers API Access for easier pluggins. This is located in Settings > Advanced Settings. I like the Customer Support page as everything is clearly outlined. You can reach customer service by calling a toll free number or by submitting a ticket. The Knowledge Base is clearly written out with relevant topics and there are Video Tutorials to help along the way. An easy to use ecommerce solution. Pinnacle Cart has improved their solution by changing to a cleaner interface and simplifying the setup process which will enable merchants to set up their store easily. The setup process was quick, easy and practical. Requires more free template designs for new merchants to choose, especially those who do not have any programming background to make the changes in CSS. Overall, the cart is easy to use and pleasant to look at. It was also pretty smooth to get things done and did not come with any complications.